We can replace unattractive, metallic dental fillings with tooth-colored ones. These fillings may have begun silver, but they likely turned black long ago. Imagine laughing or singing to your heart’s content without worrying whether your neighbor is counting your fillings. Tooth-colored, or white, dental fillings can be stronger than silver amalgam fillings because they actually bond to your tooth. If you would like to learn more about the benefits of tooth-colored dental fillings in Columbus, please call (614) 848-5001 or email Firouzian Dentistry today. 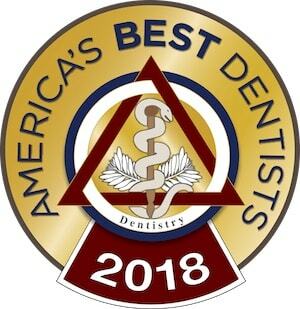 We are dedicated to providing the highest quality of dental care possible for patients, which is why we prefer filling cavities with white composite material only, as opposed to mercury-containing amalgam fillings. The average amalgam is 50% mercury bonded to 30% silver and a bit of copper, tin, and zinc. Composites do not contain any mercury or other types of metal. Instead, they are made of a combination of a tough polymer with inclusions of ceramic particles for additional strength. They begin as a soft putty that can be spread into the prepared tooth, then hardened with a curing light. Tooth preparation is more comfortable now than ever with Anutra buffered anesthesia. Another tooth-colored dental filling option is porcelain fillings made with our CEREC system. See White Fillings for more information. Metal amalgam dental fillings are unattractive. They begin silver, but quickly turn black with rust, giving an appearance that’s as bad as untreated tooth decay. But metal amalgam fillings also have functional problems. They expand and contract with temperature changes at a very different rate than your natural tooth enamel. This means that when you drink cold beverages, the amalgam shrinks a little more than the tooth it’s sitting in, allowing liquid to penetrate around the filling. This liquid can contain both oral bacteria and food for that bacteria, leading to more tooth damage. With exposure to elevated temperatures, metal amalgam fillings expand faster than the enamel, and can cause small cracks to appear. Another concern about metal amalgam fillings is their mercury content. Although the FDA and American Dental Association (ADA) claim metal amalgam dental fillings are safe, we know that mercury is potentially very harmful. We know that mercury doesn’t stay in the fillings and concentrates in the body.